The Purple Pomegranate, a fine craft specialty store, is featuring work by Columbia Falls resident, Tatiana Zolotareff during the month of May. Tatiana has always been involved in the arts. She’s dabbled in oils and acrylics, spinning and weaving, pottery, beads, and music. Tatiana started making soaps for Christmas about 18 years ago, and by the next year was participating in some of the local farmers’ markets and craft shows. Although beading has been her favorite past-time for quite a while, Tatiana has not made jewelry for sale until a few years ago. 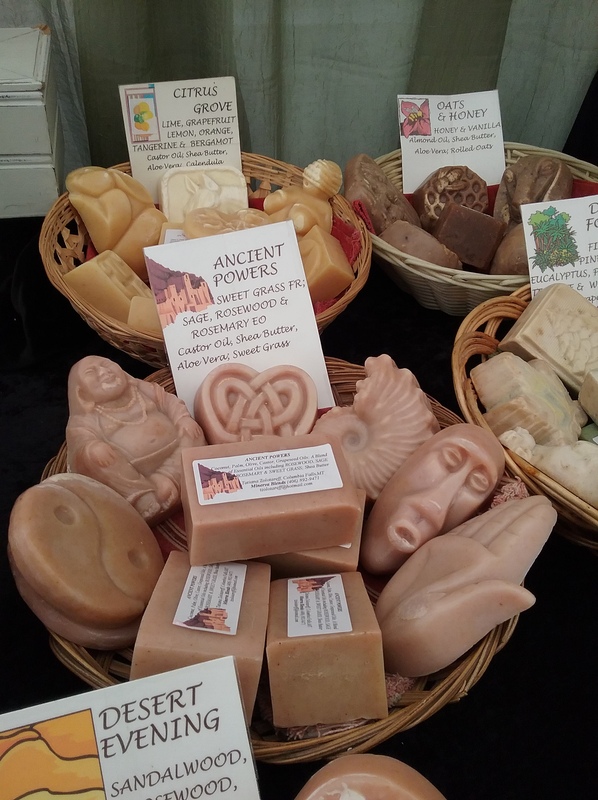 Tatiana is still making soaps, jewelry, knitted hats and scarves Her molded soaps are made with natural vegetable oils, essential oils, fragrances and natural coloring. She makes about 15 varieties. Her lotion bars are made with a combination of oils including Emu, Shea Butter and Peanut oil, well known to be great for deep massage. 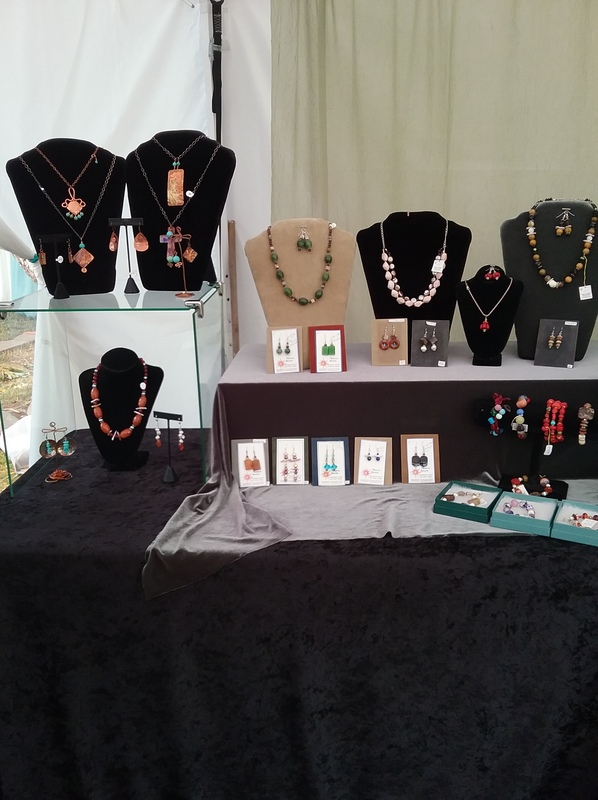 Tatiana’s jewelry is made with semi-precious stones, glass, bone or other natural materials such as coral and freshwater pearls as well as sterling, Bali or Thai silver and gold filled findings. Her knitted hats and scarves are unique and have lots of color. Although they contain some wool, the majority of yarn she uses are a mix of polyester and other wicking materials, and allow them to be easily washable. She loves to recycle sweaters! Join us for the opening reception during Whitefish Gallery Night, Thursday, May 3, 2018 from 6-9 PM. Tatiana’s work will be displayed during the opening and throughout the month of May.